Boost VC, the San Mateo-based startup incubator led by CEO Adam Draper, announced ‘Tribe 7’ yesterday, its latest group of 20 early-stage startups. 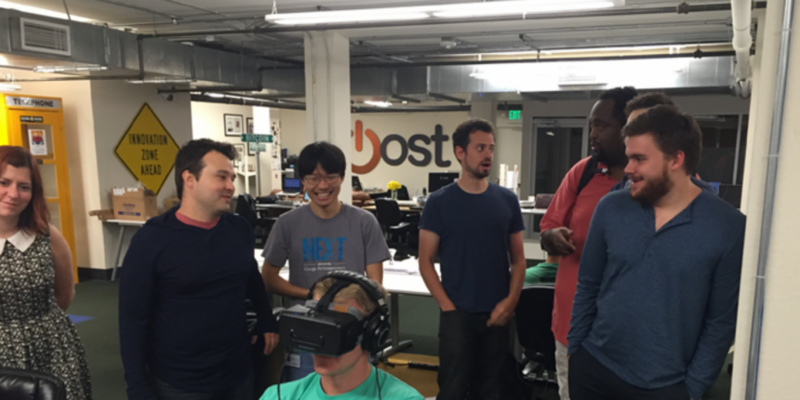 With its latest batch, Boost’s portfolio currently stands at 138 companies – 55 working on blockchain products and 34 on virtual reality. The incubator now claims to be the most active investor in both of those sectors, adding that a total of over $125m that has been raised by its startups to date. Notably, while Tribe 5 was dominated by bitcoin and blockchain startups – accounting for 90% of the 25 firms – last year’s Tribe 6 and now Tribe 7 have seen those numbers drop, first to five and now to four, as Boost increases its focus on virtual reality. 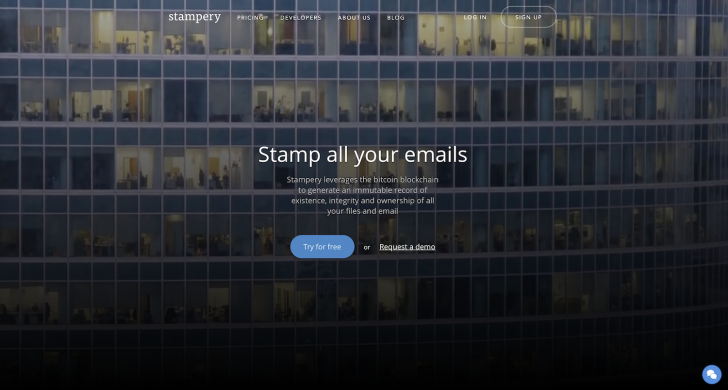 Stampery, according to its website, leverages the bitcoin blockchain to generate an immutable record of existence, integrity and ownership of all its users’ files and emails. What that means is users wanting prove a document existed at a certain point in time, that they are the original owner or that it has not been altered, can use Stampery to create a record on the blockchain. The California-based startup, which has a seven-person team headed by CEO Daniele Levi, says all files are stored encrypted for security, and that all certificates are 100% counterfeit-proof and verifiable by independent third parties. It further adds that the service is legally binding, since it leverages the global blockchain database, every certification it creates cannot ever be changed, forged or deleted. However, legal precedence has yet to be set for the use of blockchain evidence in courts. That is surely just a matter of time. Mailman describes itself as a service which increases the importance of emails by providing incentives “with the power of blockchain”. Effectively, the email sender pays a small bitcoin reward, which Mailman passes to the receiver when they reply to the message. Mailman notifies the reciever of an email and handles the transactions by using “cutting-edge open-source technologies”. Mailman is a Pakistan-based firm run by CEO Amin Shah Gilani and CTO Rana Waleed Asmat. It works using services by exchange and wallet provider Coinbase and email automation firm Mailgun. This three-person Israeli startup, headed by CEO Eli Ben Nun, offers a variety of services under the tag line “Intelligent security for the blockchain”. From an “intelligent co-signer” using multi-sig technology for cryptocurrency storage, to supply chain protection, to security audits and compliance checks for blockchain systems, Magic. 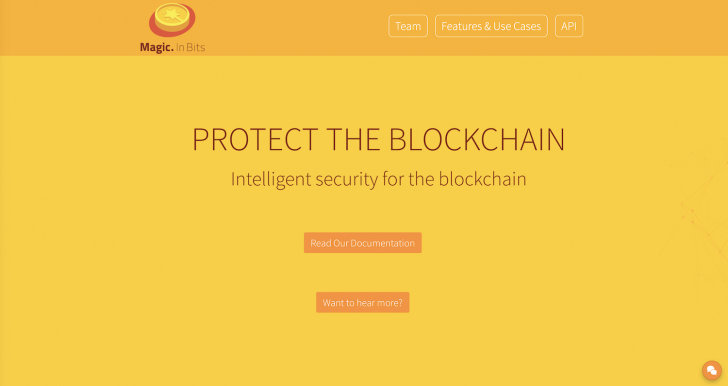 in Bits is covering a host of blockchain services under a broad security umbrella. “We are a global industry pioneer with a mission: We want to help both individuals and enterprises to protect their precious intellectual properties. We are the superhero of ownership at this digital age,” says the team at Ownership. Under the guidance of co-founder and CEO Keda Che, the six-person team offers anti-counterfeiting IT solutions to enterprises around the world, relying on blockchain technology to prevent unauthorized use of both digital and physical properties. Users can either register ownership of a property or transfer its ownership to others through the company, which records the details on the blockchain.